At Mr. Pavement, we know the importance of being environmentally friendly, which is why we offer both milling and reclamation paving services. Both of these professional methods involve creating a large area of pavement by recycling and/or re-purposing asphalt. This leaves you with a parking lot or roadway that’s still incredibly durable and rich in materials but offers a greener approach to paving. If you have an area of pavement that’s in need of resurfacing or repaving, we can skip the time, effort, and cost required for creating new asphalt and instead, repair it using existing asphalt. 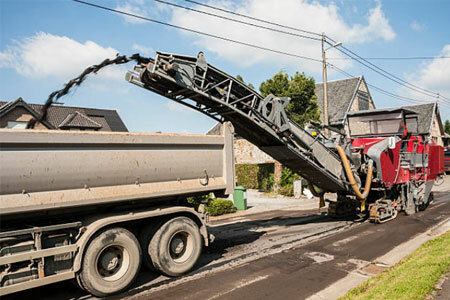 Depending on the state of your pavement, we can remove one to several inches of surface, then use that pavement to create aggregate, mix it with a binder, and create a fresh pavement for your area. Our milling services are often used to smooth down a bumpy surface, add or correct a slope, or control the height of your pavement. It offers you a simpler, greener way to resurface your asphalt. When it comes to areas of pavement that are in bad shape and in need of a paving overhaul, we suggest our reclamation service. Reclamation takes milling one step further and provides a deep removal of your current asphalt. 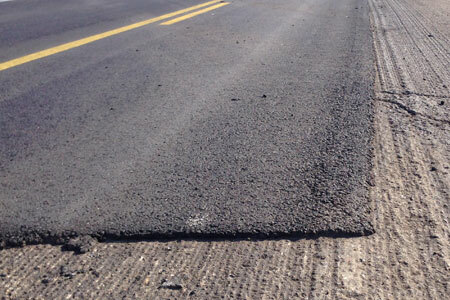 This asphalt is then repurposed and is used as a base material for a new surface of pavement. Reclamation is often a technique used when pavement has major damage (such as deep cracks, distresses, or holes), a bad foundation, or needs to be removed for underground access. Like milling, it’s an easy way to recycle your current asphalt. For years, Mr. Pavement has been the asphalt paving company to turn to in Greater Philadelphia, Pennsylvania. Our professionals have been in the paving business for years and we offer our customers the best in paving installations, repairs, and services. If your parking lot or road is in need of resurfacing or repaving, consider the greener option of milling or reclamation. Talk to us today about your options.